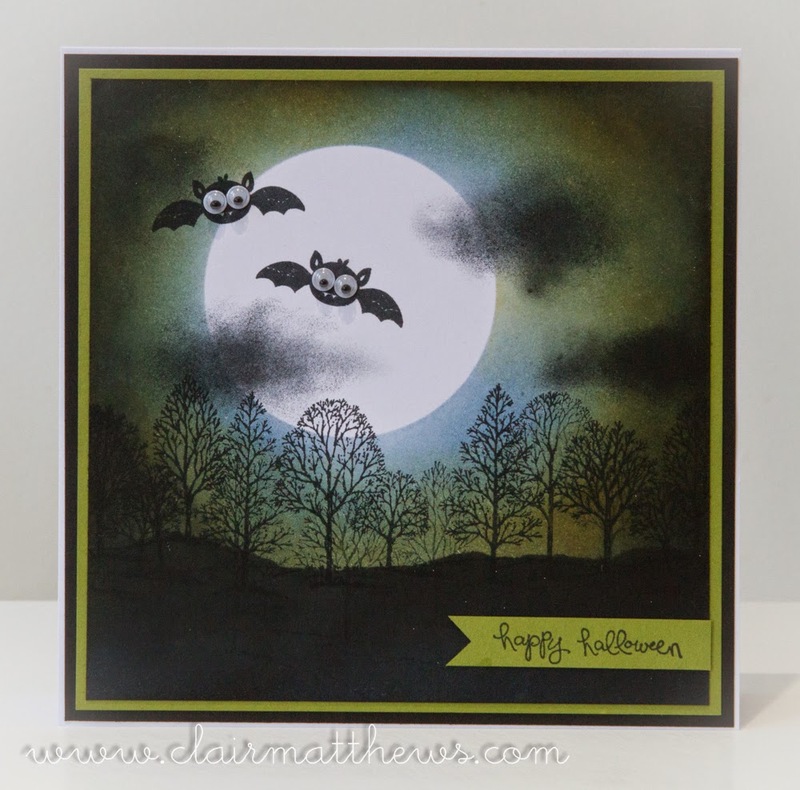 Hi guys..I hope you're having a great Tuesday! 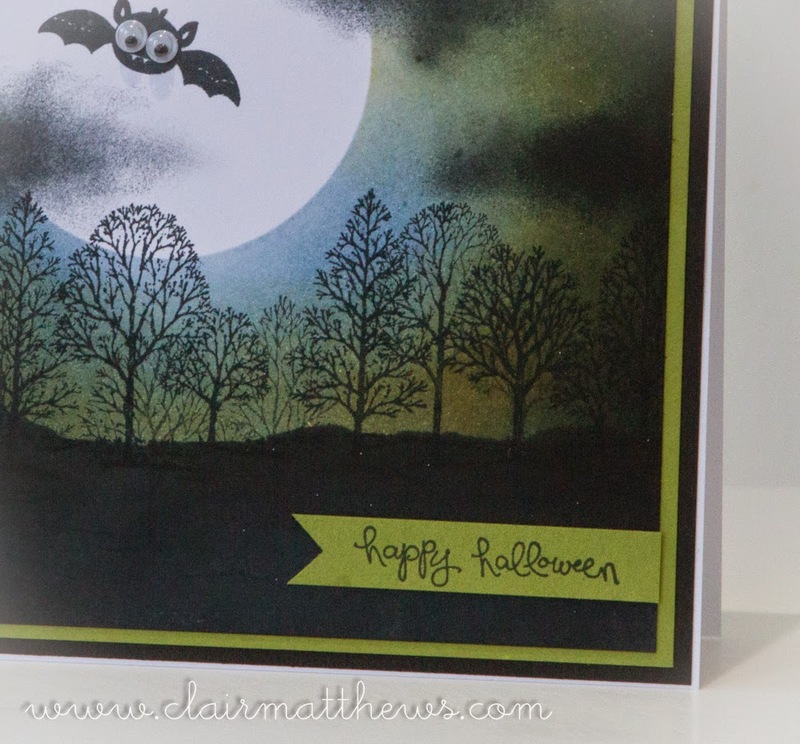 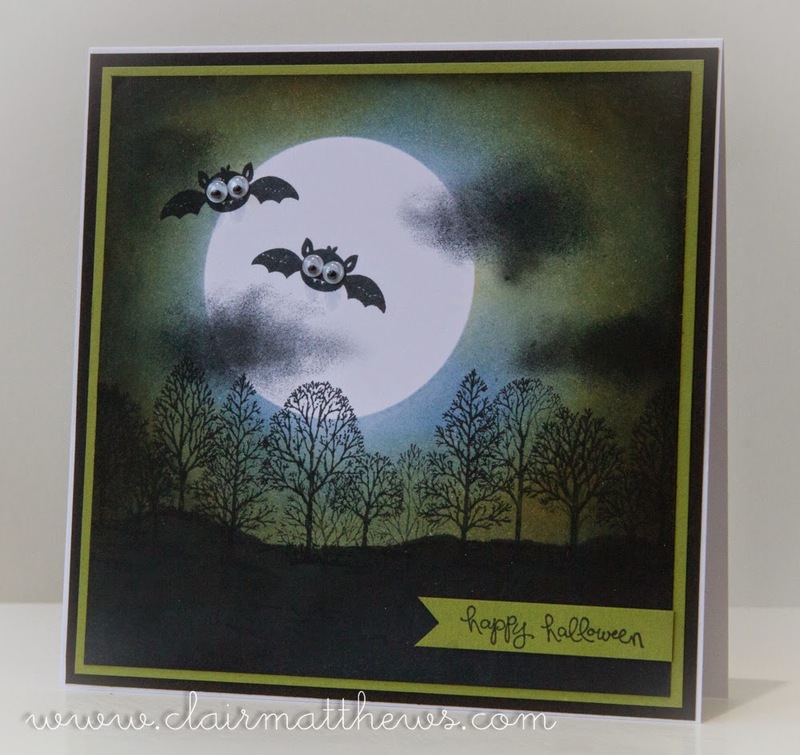 Todays card is a spooky treat for you - I don't always make halloween cards but there's so much great inspiration on pinterest at the moment I thought I'd get in the spirit & give it a go. 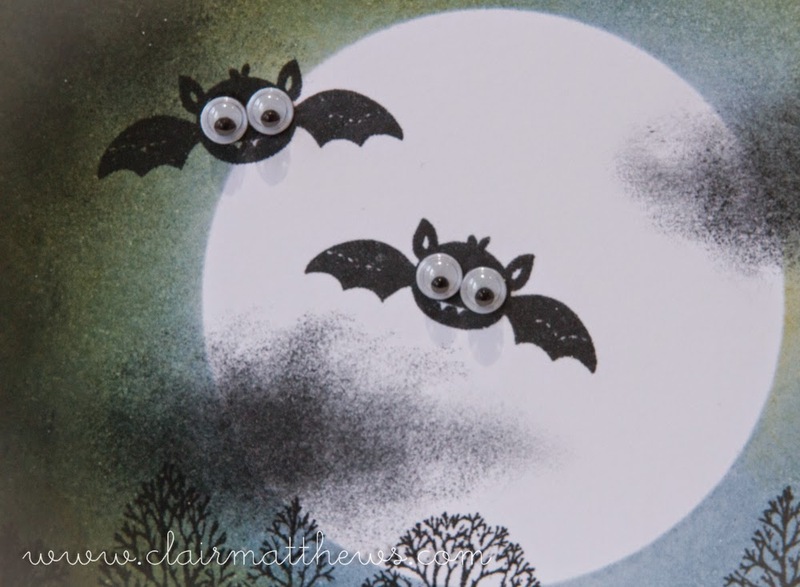 The cute little bats on this card are from a retired stampin up set called 'googly ghouls'..
Making this card gave me the opportunity to play with some of the new Tim holtz inks & blenders I bought at Ally Pally - I must say the new round distress tools are a LOT better than the old ones, definitely worth buying if you come across them!